​​​ ​Uveitis is a practical guide for the diagnosis and treatment of uveitis and ocular inflammatory diseases. This text provides uveitis specialists, practicing ophthalmologists, and ophthalmology residents with the appropriate diagnostic testing and evidenced-based therapeutic options for managing patients afflicted with these conditions. The realm of ocular inflammatory diseases is constantly changing with improved diagnostic modalities and treatment options, however, despite these innovations, the ocular inflammatory diseases, including uveitis, are the third leading cause of blindness worldwide. 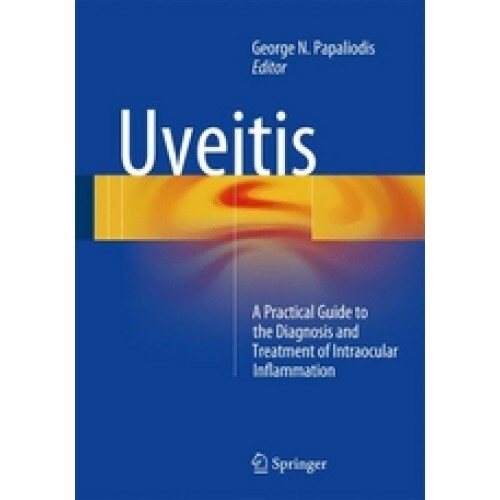 Written and edited by leaders in the fields of ophthalmology, rheumatology, internal medicine, infectious disease, and oncology, Uveitis addresses the latest advances in the field, from the advent of PCR technology, intraocular depot steroid implants, neoplastic and infectious diseases masquerading as uveitis, and the use of systemic immunomoduatory therapies (including biologic agents/humanized monoclonal antibodies in the armamentarium).